Eurotech started delivering tape-based solutions into the Oil and Gas industry in the early 1990’s but has since grown to become a leading provider of a broad spectrum of IT solutions and services to clients across EMEA. Today Eurotech has offices in England, Scotland, Norway and South Africa and has succeeded in striking the right balance between innovative technology and specialist solutions to deliver the performance, reduced TCO and capacity that clients demand. Our core skills are in High Performance Computing, High-Throughput Storage, Hyper-converged Infrastructure, NAS optimisation, Cloud Storage, Virtualisation and all the networking, hardware, software and security components needed to bind all of these technologies together into an IT solution. 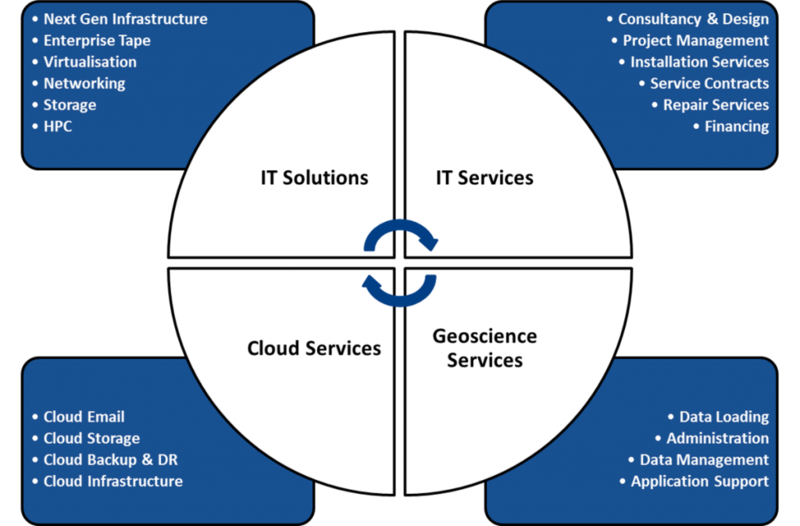 We have a dedicated Professional Services and Geoscience Services business that backs up our technical solutions with the human resources needed to make IT work for your business. More recently Eurotech has launched a full set of Cloud Services to offer your business greater flexibility and a different cost model for purchasing IT. Eurotech has clients in various sectors, including Oil & Gas, Broadcast, Government, Financial Services, Education, Life Sciences and many more. Our business has been built on integrity and honesty and we value the relationships we have with our clients, many of which have been fostered over two decades. Our people are some of the most talented and knowledgeable in the industry and are eager to support you long term. For even more information, visit the Downloads section.